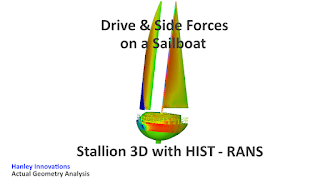 The following video shows how Stallion 3D computes the forces on a sail. 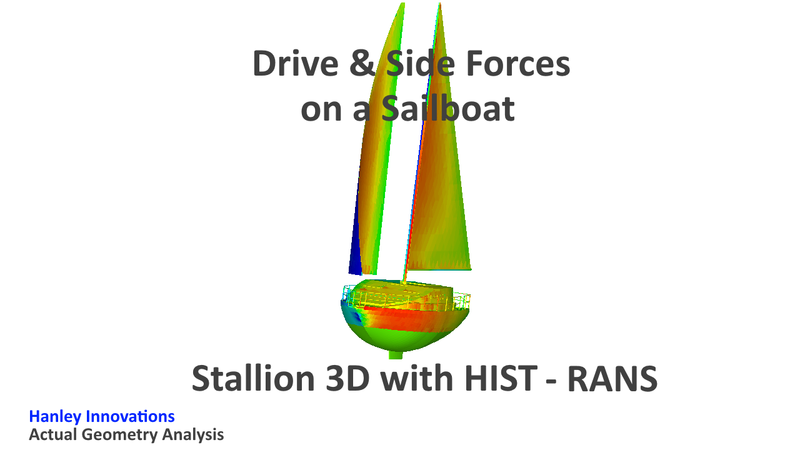 The forces are computed from an .stl file of the flying sail shape and the deck of the sailboat. Grid generation is automatic and Stallion 3D solves the Reynolds Averaged Navier-Stokes (RANS) to accurately compute the forces and moments acting on the geometry.